Reports indicate that the ISIS leader al-Baghdadi has survived an airstrike in Iraq and escaped to Syria, but his wife has been arrested by Iraqi security forces. According to a report by Tass, as covered by IRNA, the leader of the ISIS terrorist group Abu Bakr al-Baghdadi fled from Iraq’s Mosul towards the Syrian city of Raqqa, but his wife was arrested. This statement was made by the so-called Islamic police, which under the leadership of a man named Abu Uthman rebelled against al-Baghdadi, the Iraqi Sumaria News reported. The anti-ISIS forces conducted an airstrike on Mosul during a meeting of the commanders of the terrorist organization ISIS. 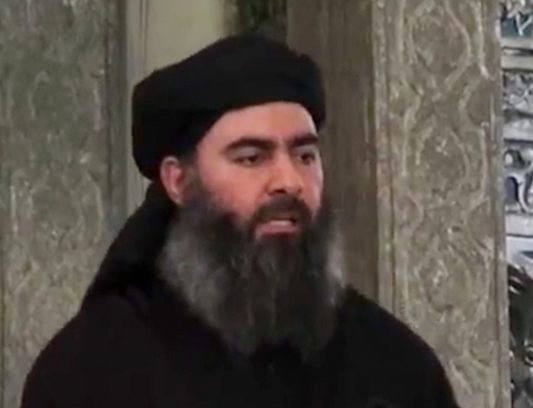 In attendance was al-Baghdadi, who is constantly changing his location in Iraq and Syria. At the last moment, he managed to escape. The ISIS terrorist group’s ringleader Baghdadi escaped the airstrike in the Iraqi campaign to liberate the northern city of Mosul minutes ahead of an attack, local security sources told Sputnik on Monday. “Baghdadi escaped at the last moment from the airstrike on a meeting among commanders in Mosul,” the sources said without clarifying whether the strike was conducted by Iraqi forces or the US-led coalition. Al-Baghdadi’s movements are known only by his inner circle, with the leader constantly changing location in Iraq and Syria to avoid airstrikes.